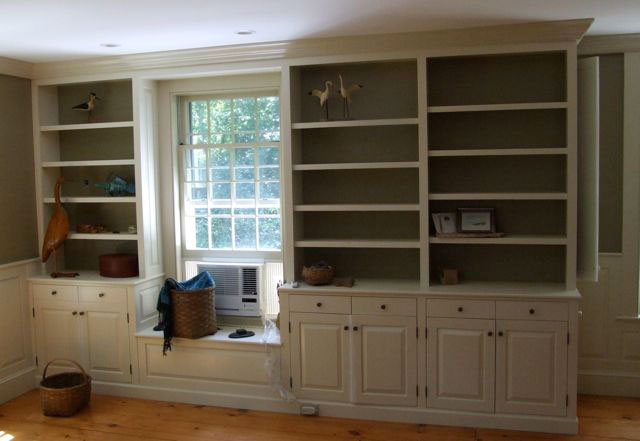 Built-in custom bookshelf and cabinets. 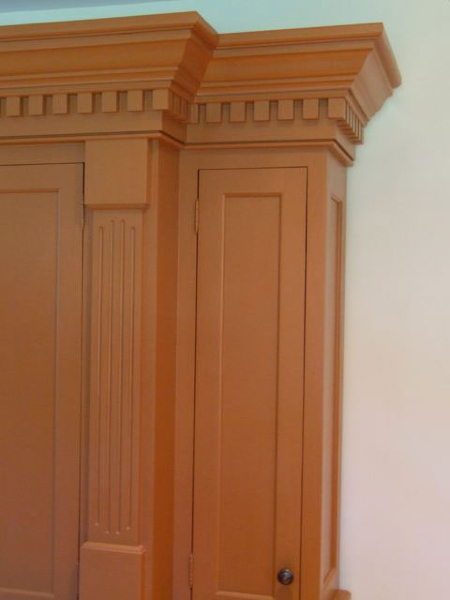 Custom breast work on living room wall surrounding a fireplace. 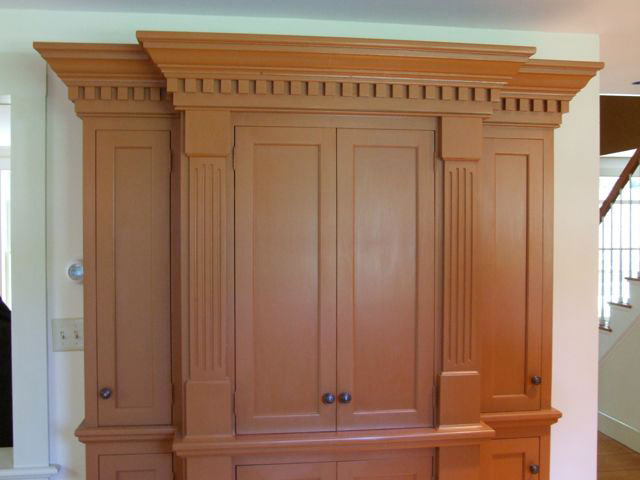 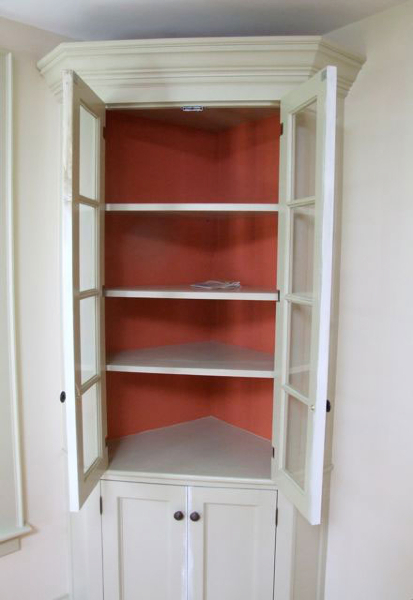 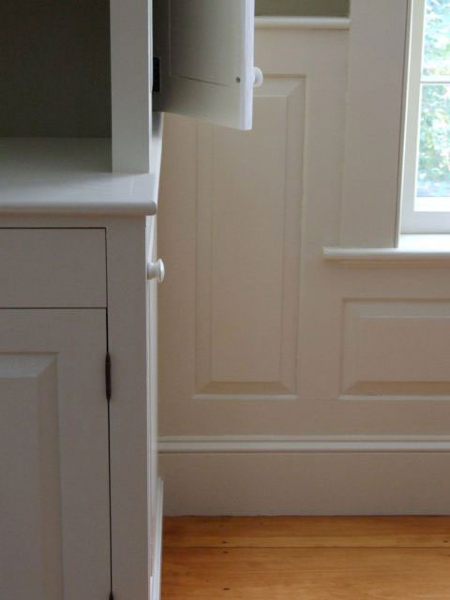 A custom built-in corner cupboard. 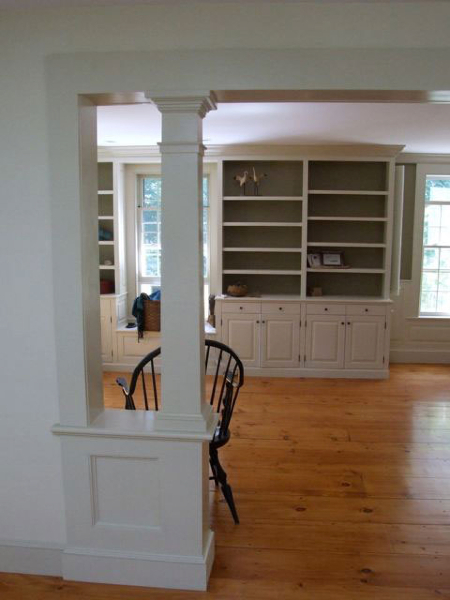 Archway with column was built between rooms. 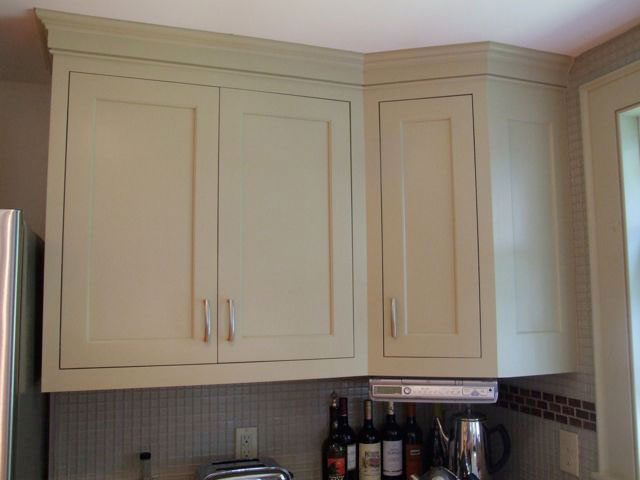 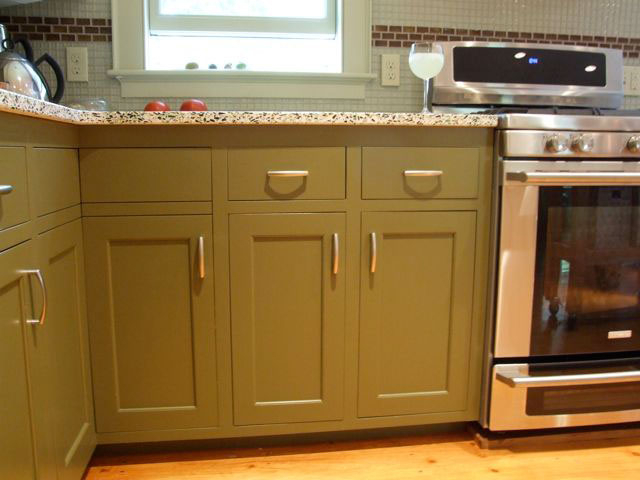 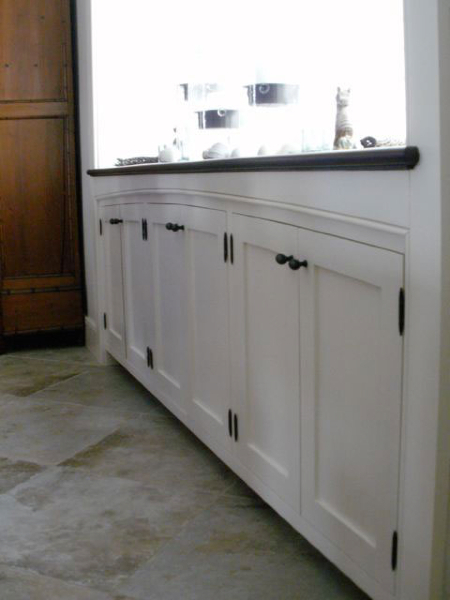 Custom upper and lower kitchen cabinets. 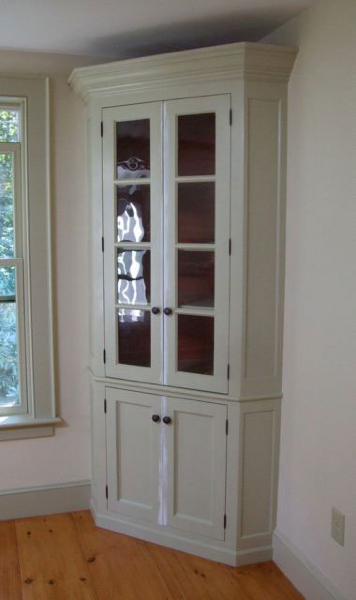 A piece or furniture to act as a pantry in kitchen and living room. 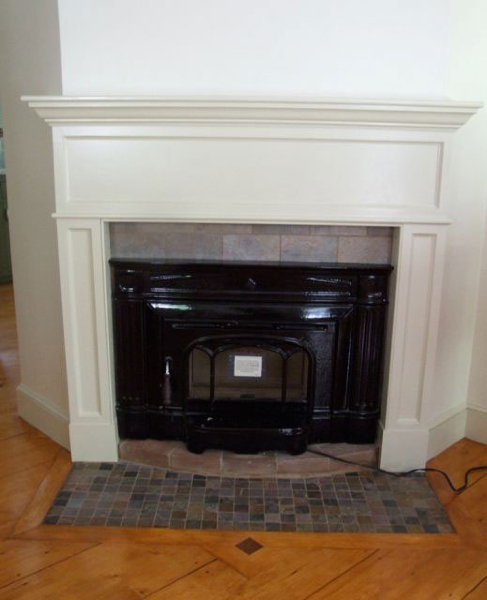 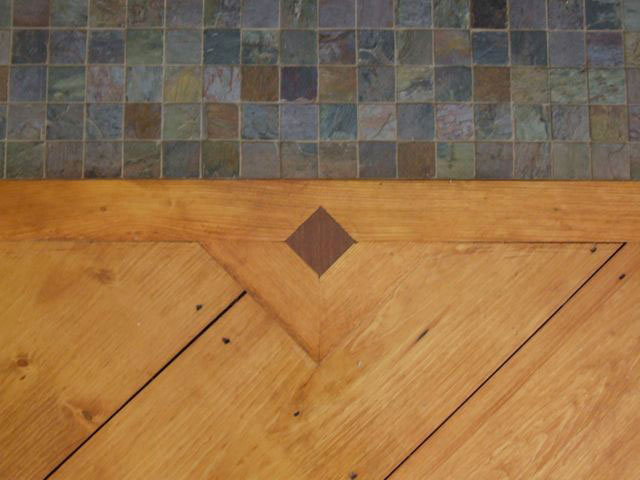 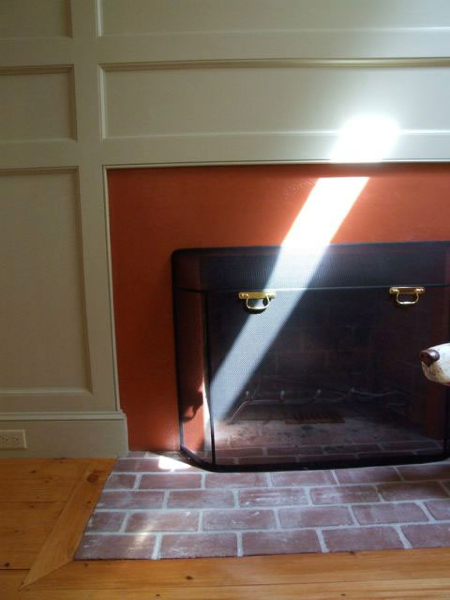 A mantel was created for this added fireplace.